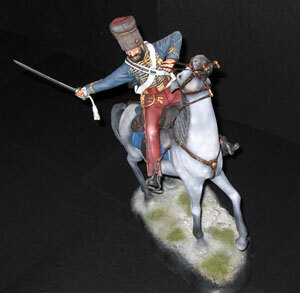 Our mounted figure is in 120mm scale and makes up into a spectacular model you can really see the action from the ill fated charge. The Kit consists of 17 resin parts and 9 parts in white metal also included is sufficient quality foil for straps etc. and instructions.